I recently returned from Hawai’i and received a wonderful introduction to the culture of the Hawaiian people. The word Aloha has a much deeper meaning than most people realize. It does not mean Hello. The word is much more spiritual and embodies the compassion, love and kindness that the Hawaiian people feel towards each other, their islands and all beings which is a pretty amazing concept! The spirit of Aloha has a different meaning for each visitor to Hawai’i, but the connection that visitors feel to the islands brings them back year after year. Photo courtesy of Ko'a Kea Hotel and Resort. Many avid travelers may overlook Hawai’i because it is part of the United States. You have fly eleven hours and you don’t even get a passport stamp! As a millennial, I, too, have a strong desire to fill my passport with amazing stamps and check countries off my list, but that is probably a completely separate blog post! While you may not be getting a stamp, if you visit Hawai’i in the right way, then you are going to have a deeply meaningful and unique experience that you won’t find anywhere in the continental United States. Plus, it’s a chain of islands in the Pacific Ocean. We’re not in Kansas anymore, people! 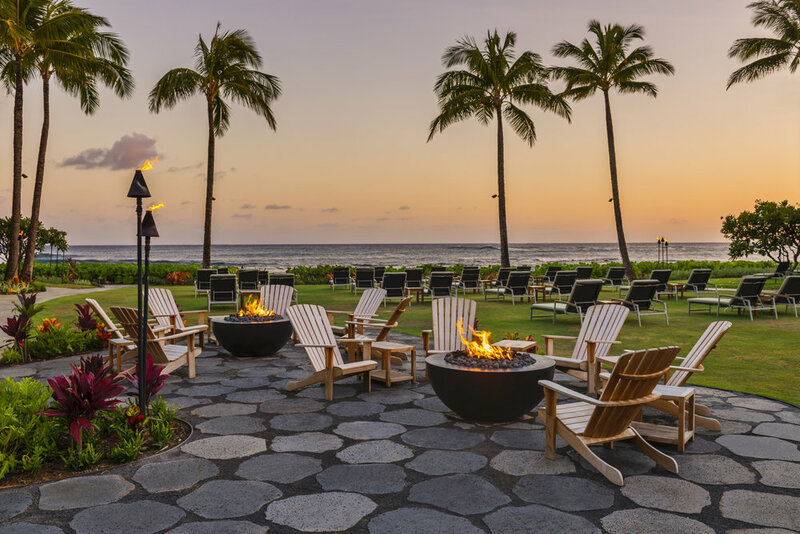 Many people travel to Hawai’i to relax and escape the chaos of their everyday lives. If that is you, Hawai’i is ready for you. The hotels are beautiful, the beaches couldn’t be more perfect, and the hotels have perfected their services. If you’re looking for adventure or eco-tourism, Hawai’i has got your covered as well. There are zip lines, kayaking tours, volcano treks, helicopter rides, snorkeling trips – just to name a few. If you’re interested in culture, head to O’ahu where you can visit Pearl Harbor, ‘Iolani Palace, Kualoa Ranch and the Mission Houses which are just a few of the many historical sights in Hawai’i. If high-end shopping is your thing, Honolulu has you covered. However, make sure to break out of your comfort zone and discover the Hawai’i that you haven’t thought about! Photo of me by the Amazing Elise Sanchez! Until I visited for myself, I did not understand why so many people return to Hawai’i year after year. Each island has a unique personality and offers so much to visitors beyond just sun and surf. Add Hawai’i to your bucket-list and make sure you that when you visit, you do it right! Discover what the Aloha Spirit truly means. To plan your next amazing trip, contact me here! Newer PostDon’t Waste Time Waiting in Line at the Airport!